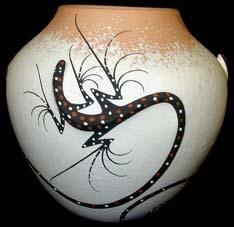 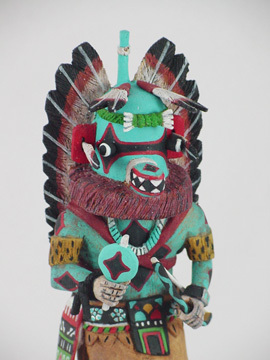 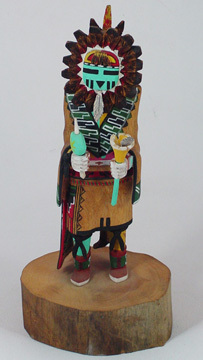 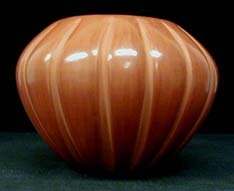 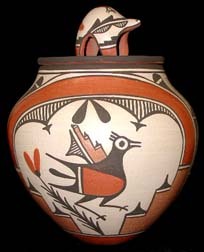 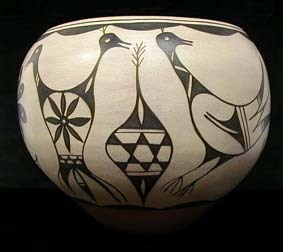 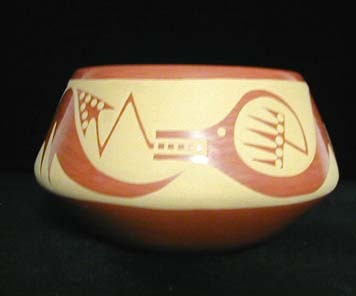 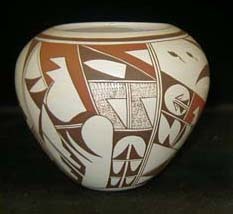 Joseph Torivio is a young Hopi carver of extraordinary talent. 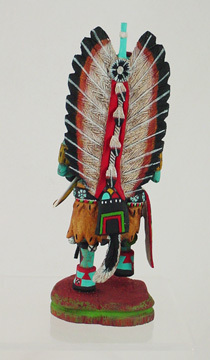 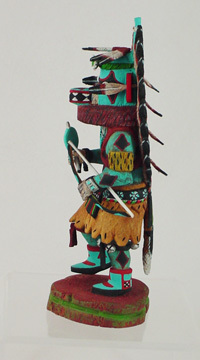 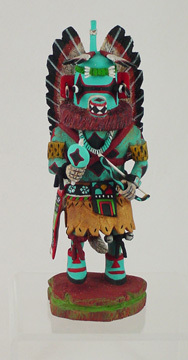 Note the detailed carving and painting of the doll, and the very delicate feathers on the back. 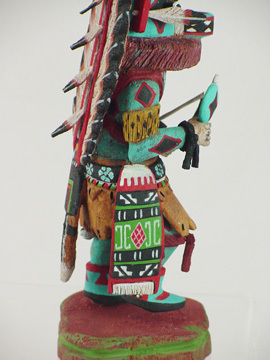 Joseph is someone to watch and invest in while his prices are quite affirdable.